You’ll often hear commercial solar installation described in highly-technical terms. Your solar installer will talk about kilowatt hours, photovoltaics, meters… the list goes on and on. And unless you have a background in solar yourself, you’re probably not going to understand what they’re saying to you! It’s enough to make your eyes glaze over. To make your decision a tad easier, we’ve broken down and explained some of the most common solar terms. Unfortunately, commercial solar isn’t quite as straightforward as getting new curtains for the break room. It’s a highly technical field – as such, there’s a veritable minefield of terms and jargon that you need to navigate when making your decision! Simply put, this is the “proper” term for solar power, nothing more – when someone says “photovoltaics”, they’re really just saying “solar”. It becomes clearer when you break down the word itself. “Photo” and “volt” refer to light and electricity respectively. Put those two words together and you get “light-electricity” – in other words, solar power! Not all solar panels are identical. There’s a variety of different types of solar panel out there (like PV panels or PV modules). And while they all might utilises the sun’s rays and convert it into energy, the devil’s in the details. 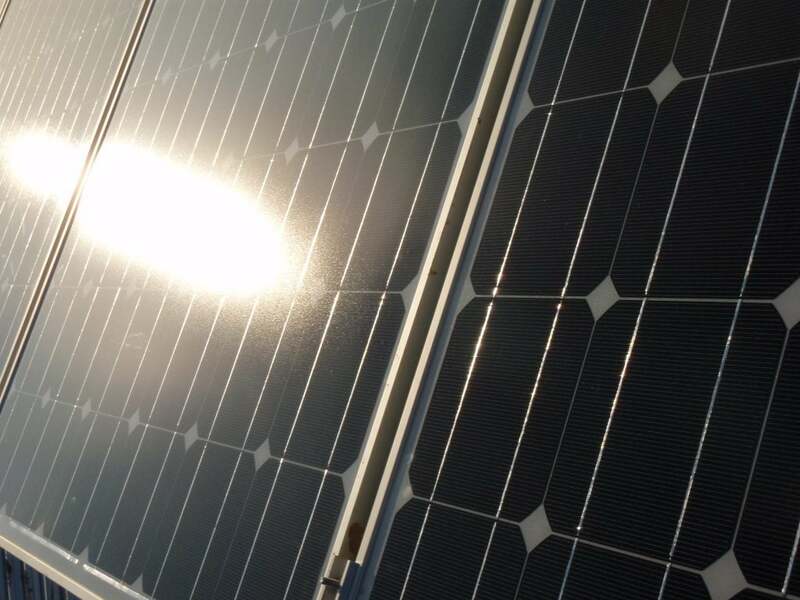 Simple: monocrystalline panels are the premium option. 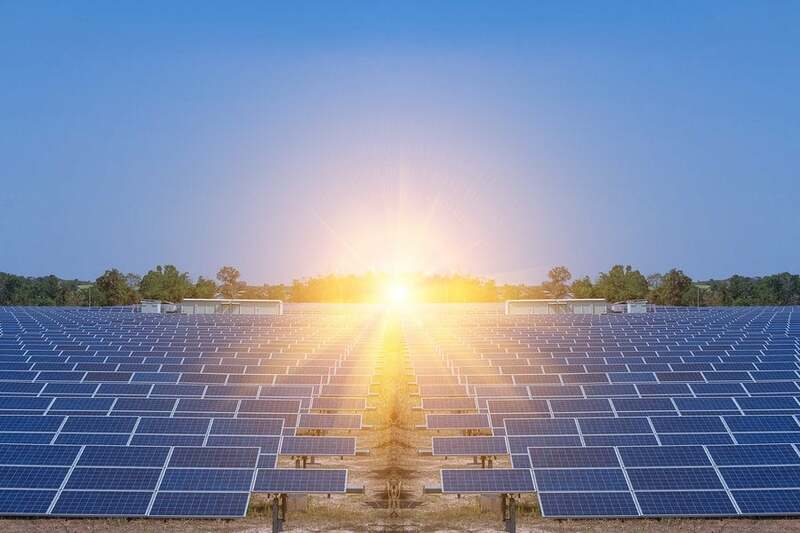 Sure, they come in at a higher price point – however, they’re also (generally) more efficient than their polycrystalline counterparts, producing more power. When talking about commercial solar, people tend to zero in on the panels themselves. However, there’s another crucial part of the equation that often gets overlooked: solar inverter. This is one of the most important parts of a solar energy system. That’s because the power your solar panels are DC (direct current). Most businesses, homes and appliances don’t accept this type of electricity – to use it, DC energy needs to be converted into AC (alternating current). Solar inverters convert DC into AC electricity, allowing you to use the power generated by your panels. At Pacific Solar, we don’t cheap out on components. We carefully select technology from leading brands – and that includes the latest and greatest in solar inverters. While we may measure energy use in kWh, solar panels and inverters are classed by kilowatts – hence, it’s important that you understand “raw” kilowatts! Kilowatts are a measure of raw power. In terms of solar, kW tell you your solar panels’ peak output at any given moment. One kilowatt (kW) is equal to 1,000 watts, or 3.6 megajoules. When it comes to solar (and domestic energy consumption in general), the kilowatt hour is the basic unit of measurement, measuring energy usage. It’s important to note that while it might sound similar, kWh is not the same as kilowatts-per-hour. Rather, it measures how much energy you’d use if you kept a 1kW appliance running at its peak for a full hour. We then take that volume of energy and use it as our standardised measure of energy usage – time doesn’t come into the equation at all! Think of it like the difference between your speedometer and odometer: one measures your speed right now, while the other measures distance travelled. The relationship between kW and kWh is pretty similar, with kW being the speedometer (energy at a specific moment) and kWh being the odometer (total energy consumption). Many of our clients come in assuming the two are the same, and end up dramatically overpaying as a result. For example, say your business consumes 100 kilowatt-hours of energy a day. That doesn’t mean choosing 100 kilowatt solar panels – you use up energy continuously, not all at once. While total consumption might be 100kW, the most energy you might use at once might only be 40kW. In these cases, a 40kW system will do the job – anything more is overkill! Pacific Solar speaks your language! Let’s face it, figuring out solar power can be tough. There’s a lot to unpack – and we aren’t just talking about jargon and technical terms either. At Pacific Solar, our relationship with you goes beyond commercial solar installation. Once everything’s said and done, our team provide accurate, to-the-minute reporting. Using advanced computer software, we track how much power your solar panels have generated. We’ll also take readings directly from your meter and package it into an easy-to-read report that tells you exactly how much money you’re saving on your power bill! Still confused about something? Don’t worry, our knowledgeable team is only one call away. 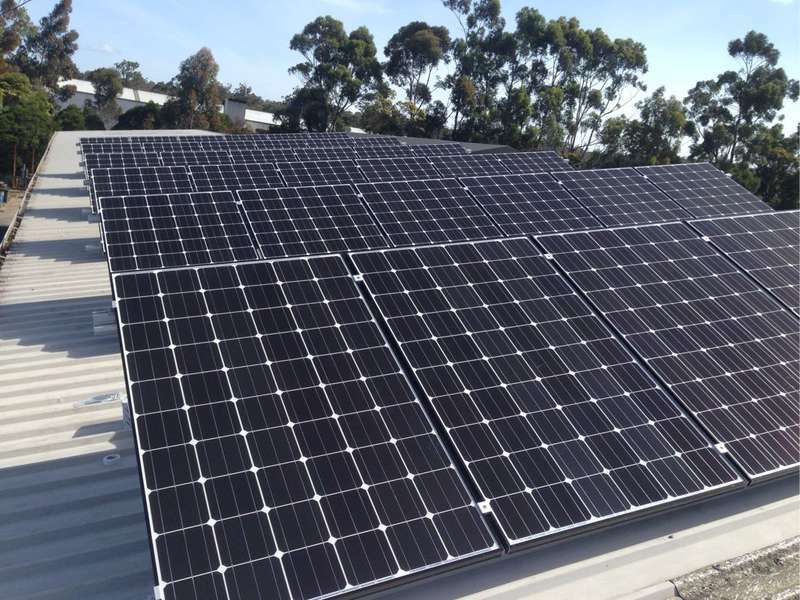 Give us a ring today on (03) 9532 3836, or click here to contact our team of commercial solar experts!